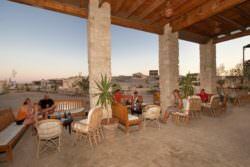 The Oasis Diving Center is located in the center of the hotel and is under the management of Kazo and Sophie. 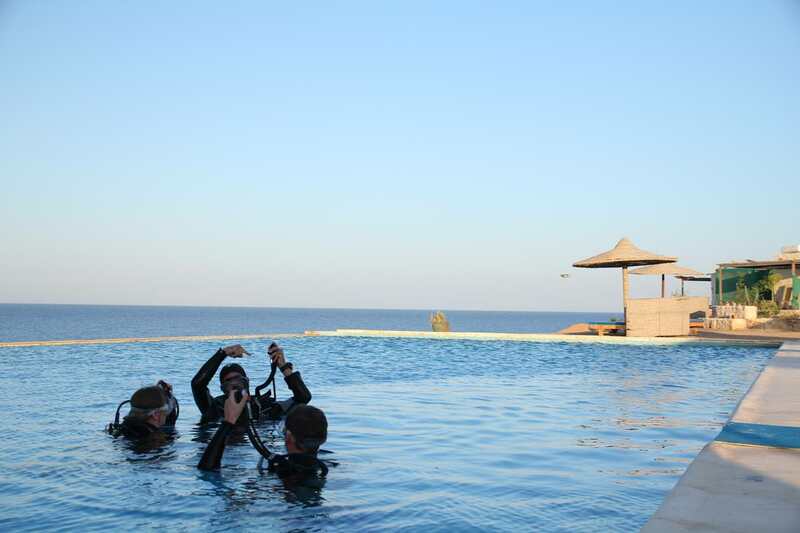 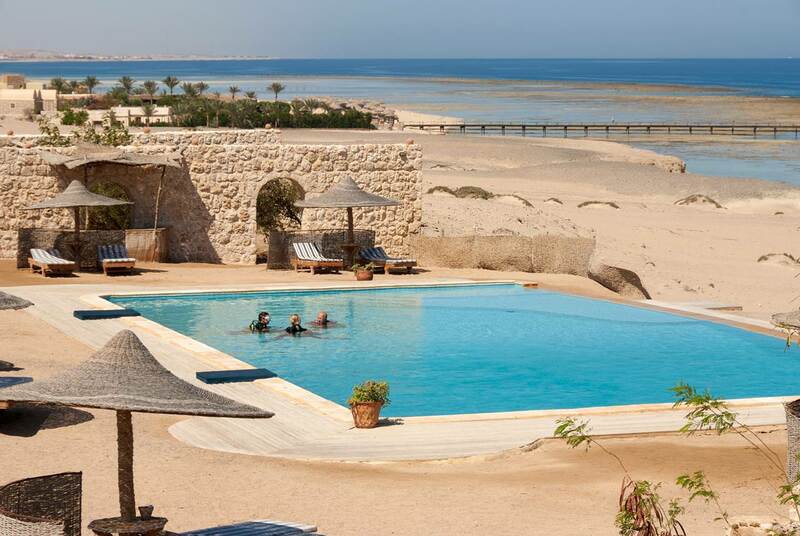 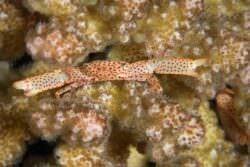 The Diving Center as well as the hotel is a collaboration of Diving Centers Werner Lau and Sinai Divers. This Collaboration guaranties costumer satisfaction, best service, safety and professionalism. 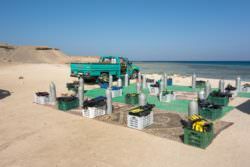 The equipment is regularly inspected and serviced by our professional team. 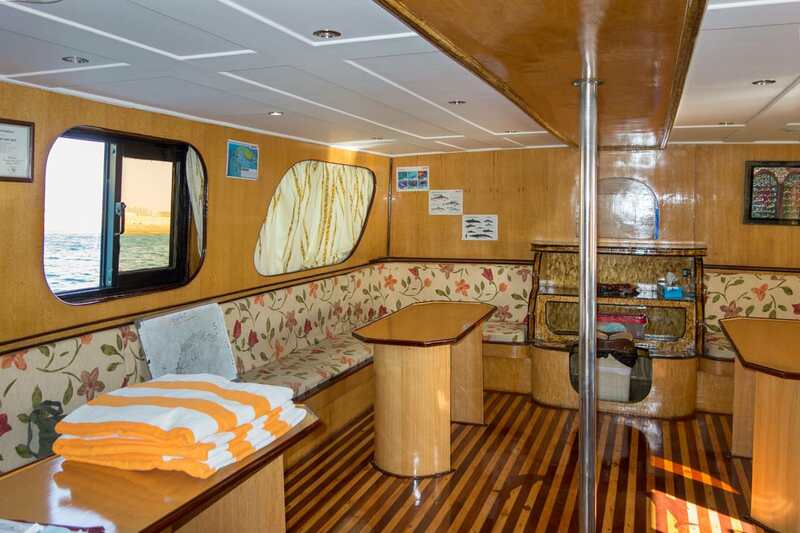 Boxes are provided for stowing the equipment (rental or your own) during your stay. 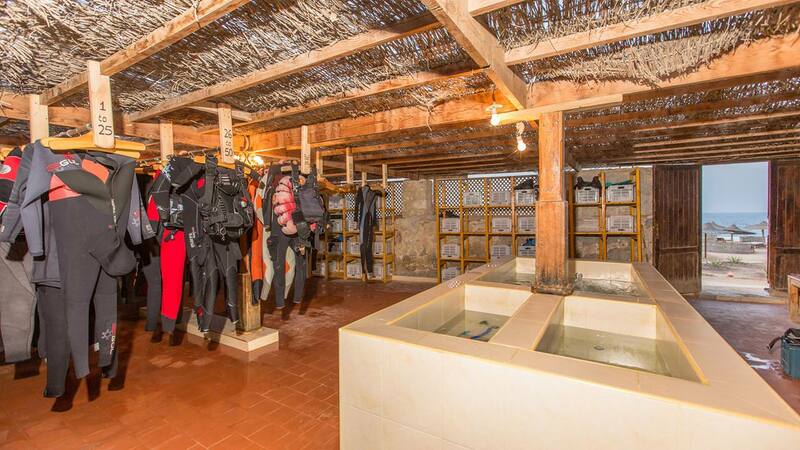 The rinse pool and the dry room are conveniently located next to the diving center. At our diving center we have 150 aluminum tanks (12 liters) and 15 aluminum tanks (15 liters). 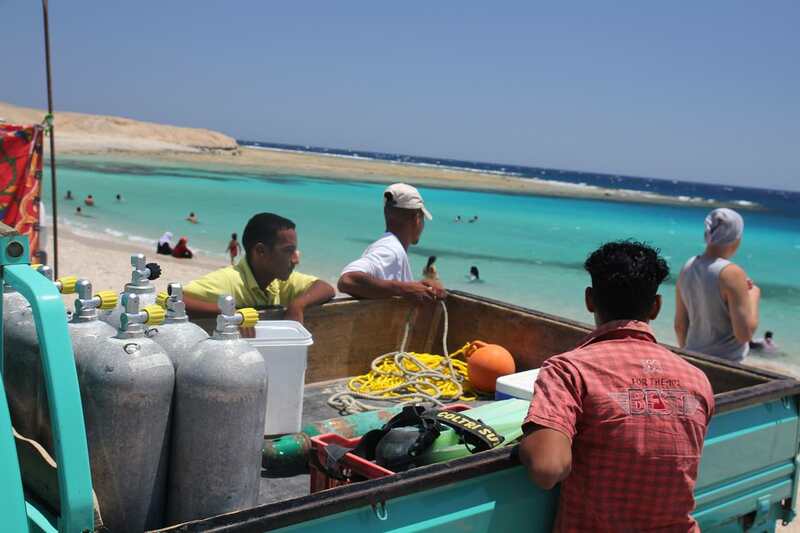 As with all Werner Lau Diving Centers, we offer Nitrox “for free”. 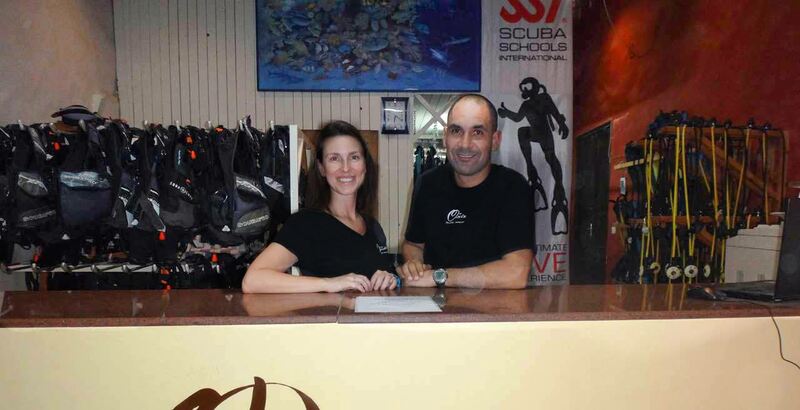 Kazo and Sophie manage the Oasis Diving Center. 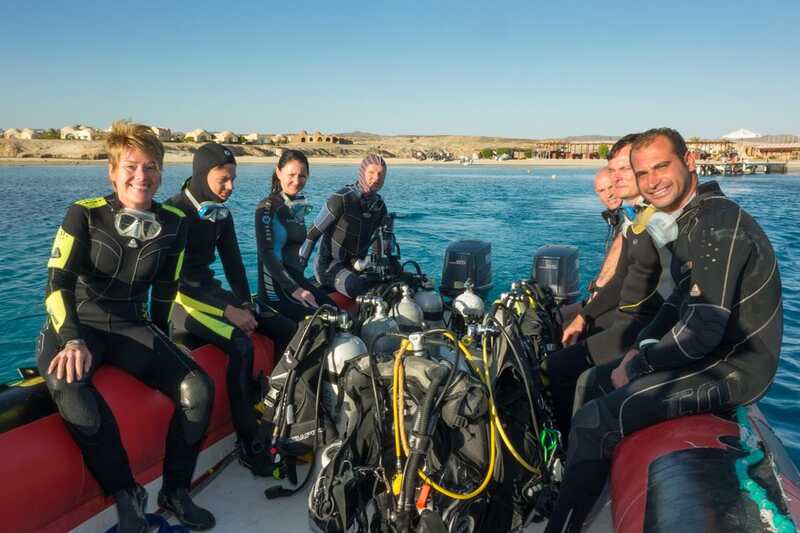 In addition to our guiding principles “customer satisfaction, best service, safety and professionalism”, they place special emphasis on a well-founded diving education, the community and the family atmosphere. With their multilingual team of instructors and divemasters they train according to the guidelines of SSI, PADI and I.A.C./CMAS. 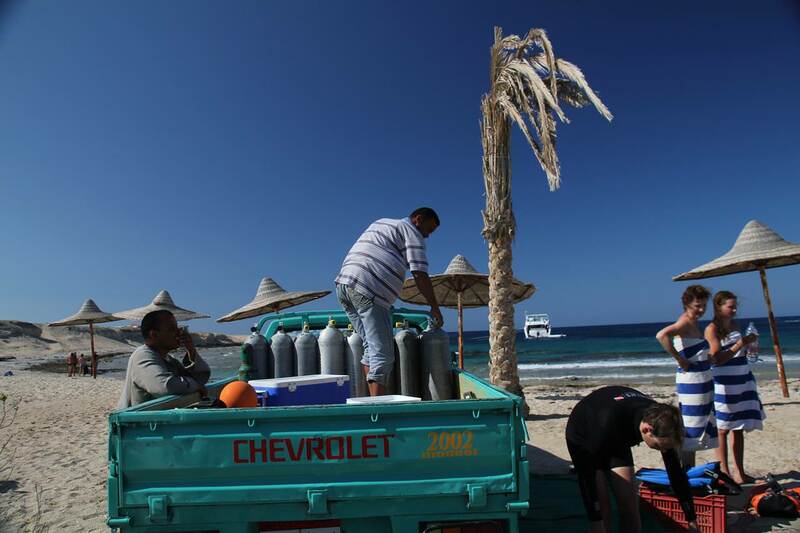 Oxygen and first aid boxes are on every jeep or boat trip as well as a telephone and a radio. 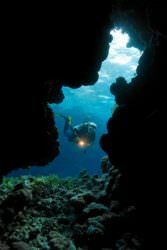 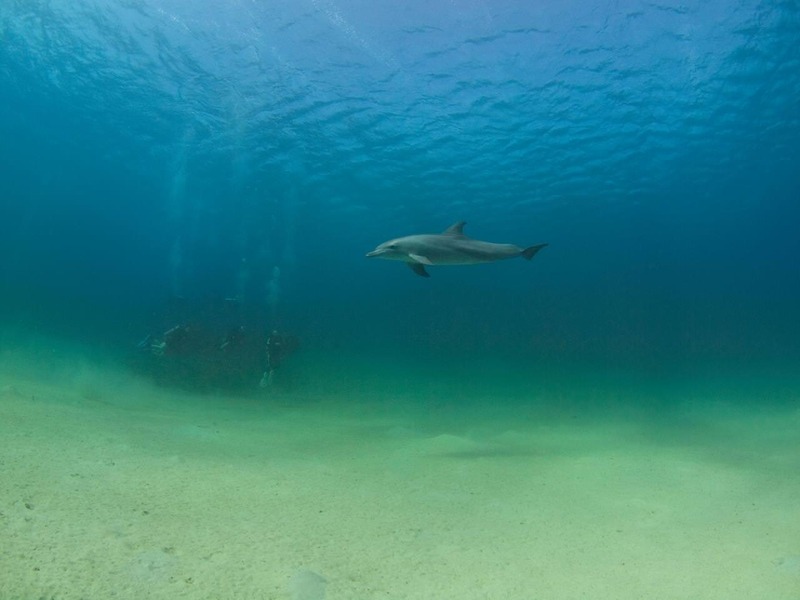 The closest recompression chamber is only 3 km from our diving center. 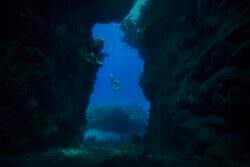 The chamber is open 24 hours. 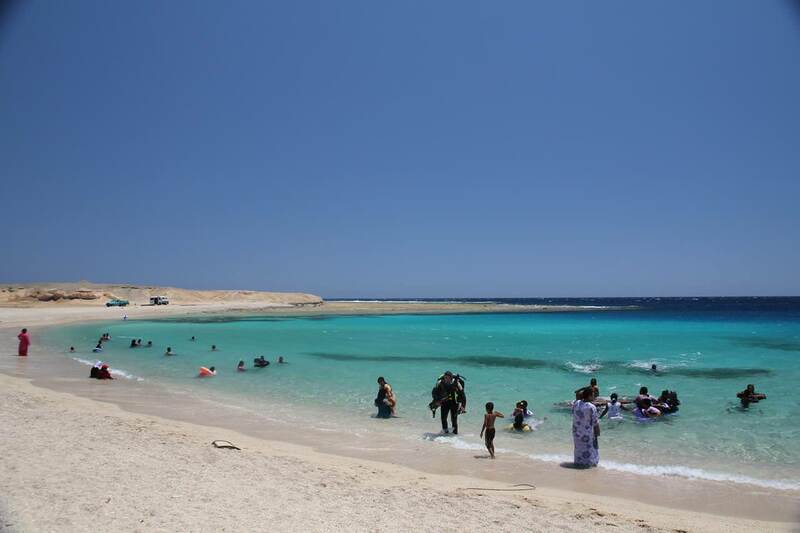 Bigger medical facilities are located in Marsa Alam and Port Ghalib. 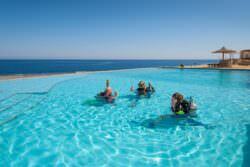 You can take your first breaths underwater free of charge in a relaxed atmosphere in our swimming pool. Of course, you can also book an introductory dive in the Red Sea. The amazing reefs with the colorful variety of fishes will give you an extraordinary first scuba diving experience. 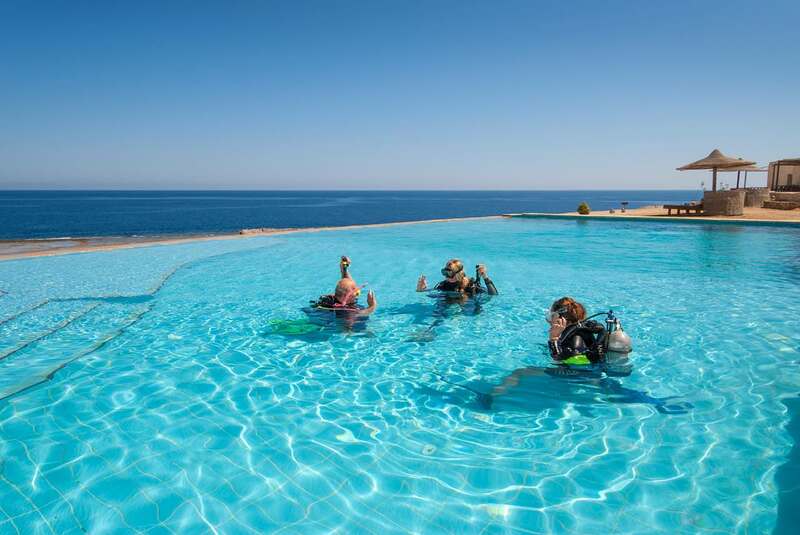 If you are a beginner or experienced diver, the instructor team of the Oasis Diving Center guarantees professional courses. 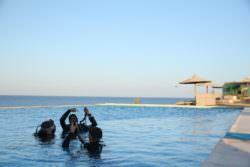 We follow the standards of IAC, SSI and PADI. 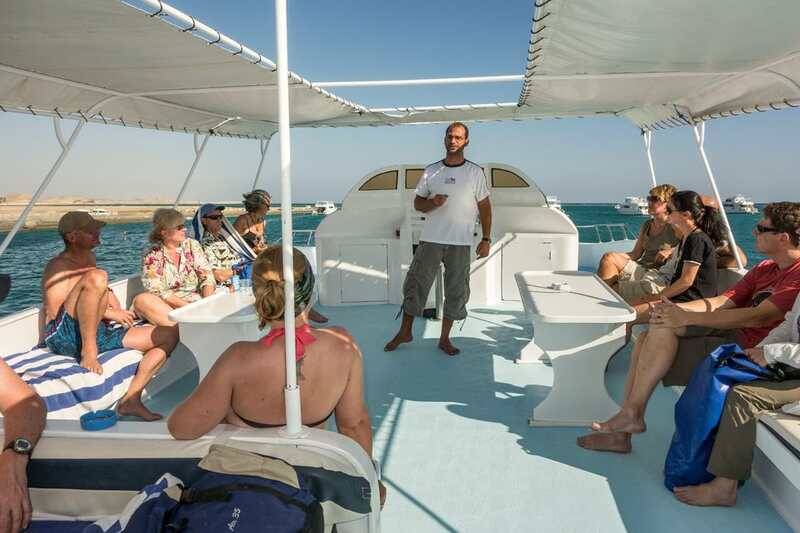 The courses take place in small groups. 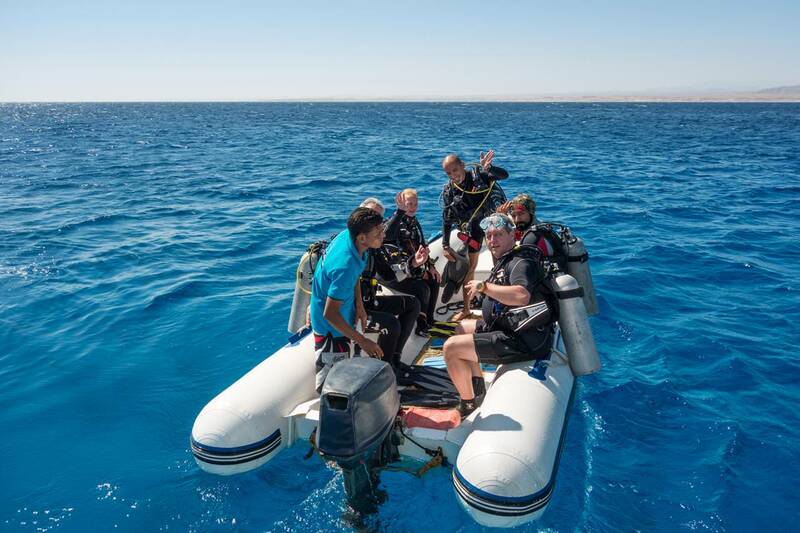 An Open Water Diver Course takes 3-4 days including theory and water sessions. 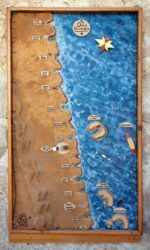 Theory lessons alternate with water sessions in order to make the courses diversified and enjoyable. 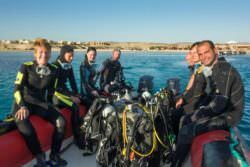 After successful completion of all course components, the students will get their certifications. 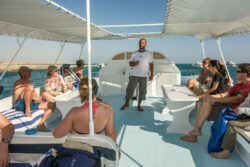 In addition, we offer speciality courses (e.g. Nitrox, Deep, Wreck) as well as CMAS***, Divecon or Divemaster courses. 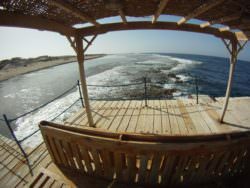 The beautiful house reef (fringing reef) is right in front of our hotel and can be accessed from the jetty. 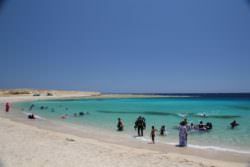 You can dive or snorkel there from 6 o’clock in the morning to 8 o’clock in the evening. 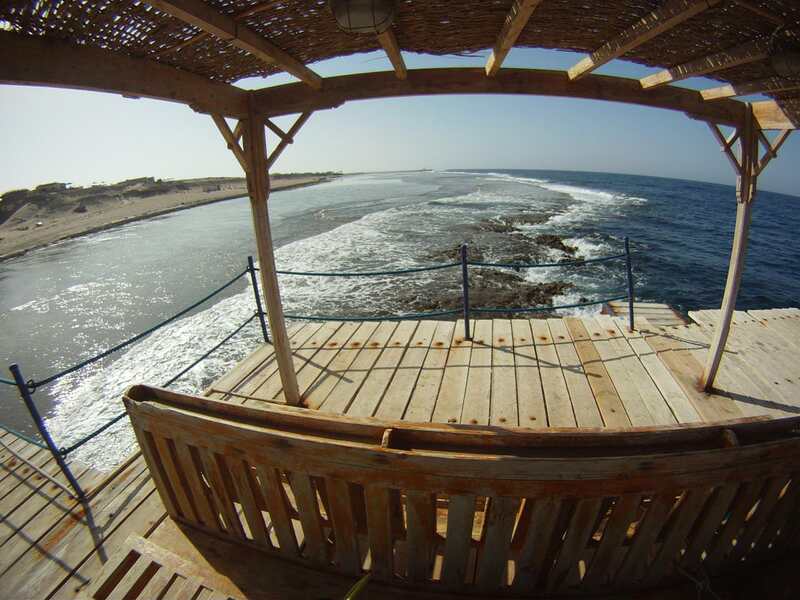 Starting from the jetty, you can dive to the north or to the south. 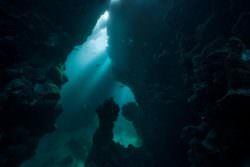 It is a gently sloping reef coming to a drop- off into deep water. 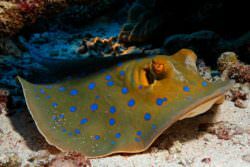 The typical fish of the Red Sea as well as moray eels and turtles inhabit the beautiful hard and soft corals on the reef. 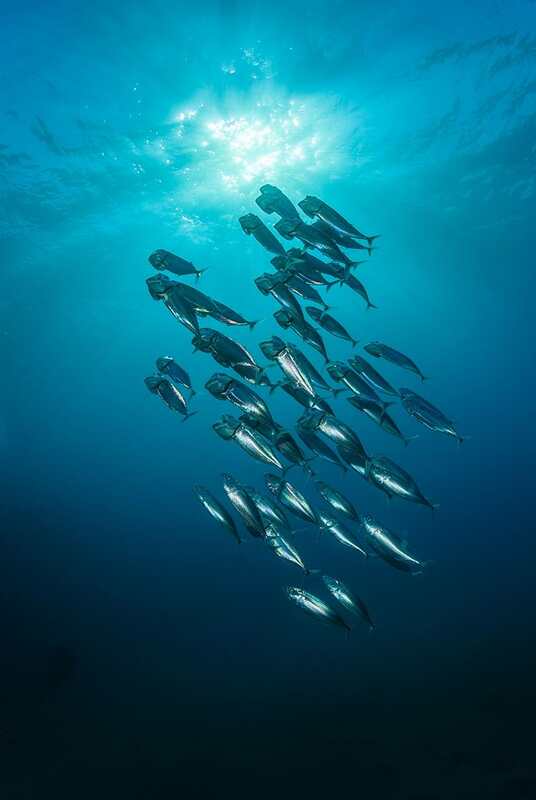 Because of the north-south alignment, the so-called “aquatic road”, big fishes like Napoleon wrasses, dolphins and sharks visit our reef as well. Going for a night dive before dinner is a particularly nice experience. 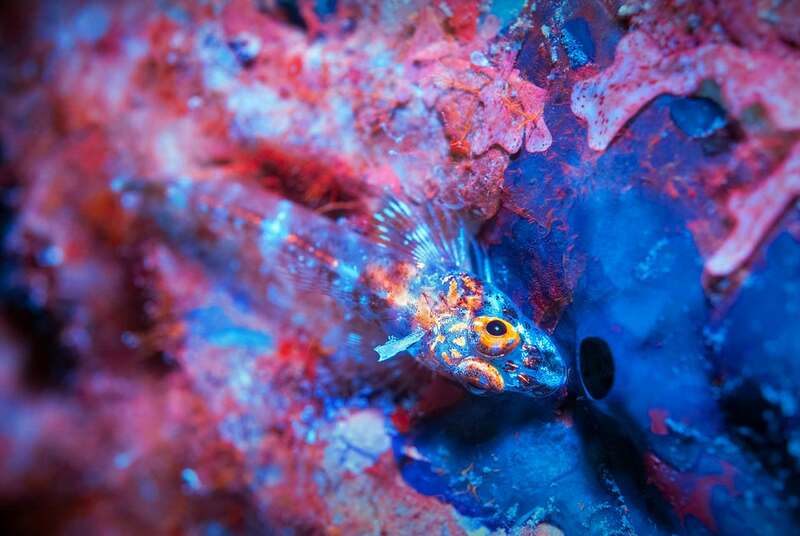 There you can observe the curiosities of the night. 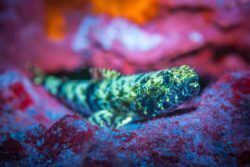 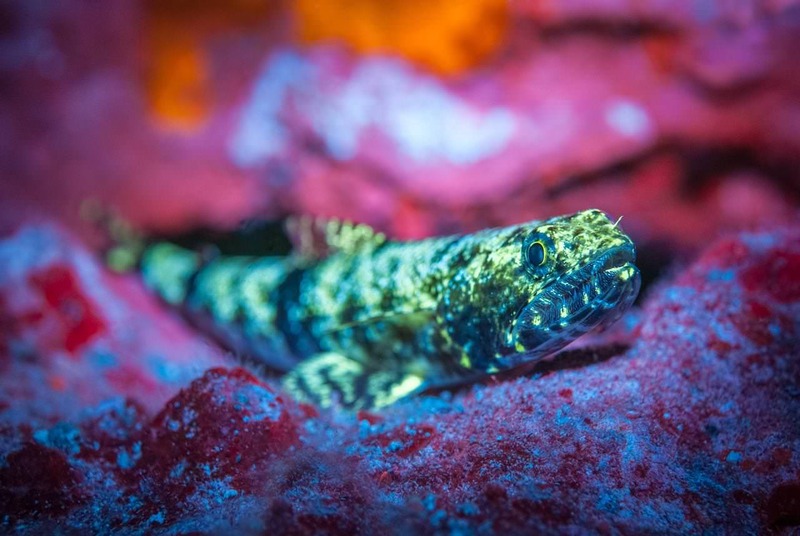 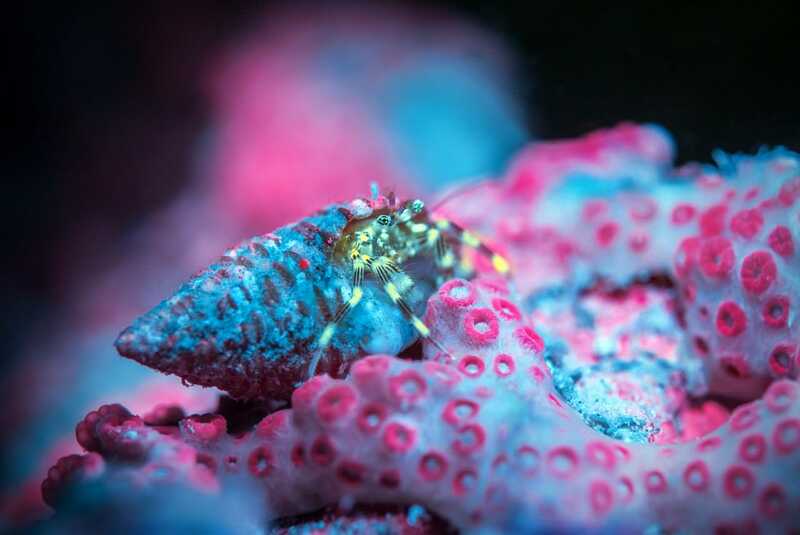 Our blue light torches transform the nocturnal underwater world during a “Fluo Dive” to a very special highlight. Strong wind or rough swell can make the access to the reef more difficult or even occasionally impossible. One dive at the house reef per day is included in the dive packages for free. 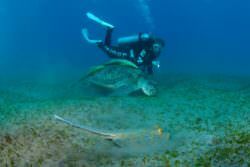 The first dive at the house reef is guided. 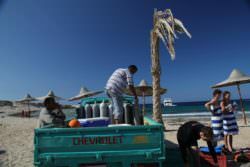 Morning and afternoon we offer dive trips by jeep / bus to shore diving spots around “The Oasis” (each including one dive). 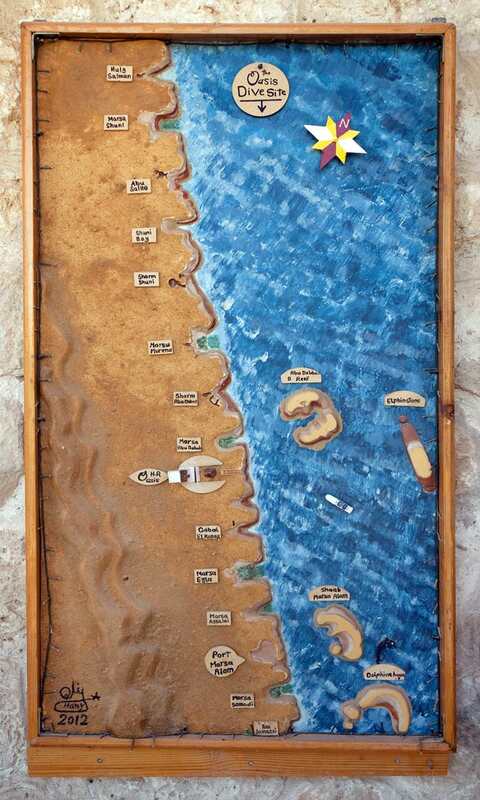 The traveling time is between 5 minutes to a half hour. 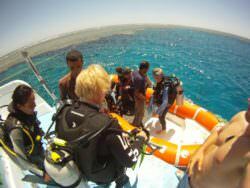 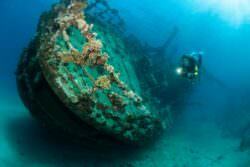 Also we offer our “Super- Day” a full day trip, direction south to the wreck “Hamada”, with three dives. 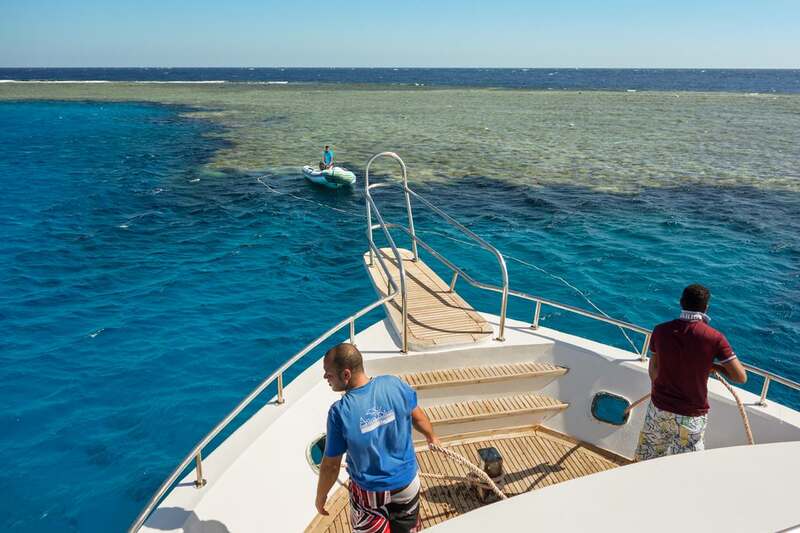 In addition, we regularly go by boat or Zodiac to highlights such Samadai Reef (Dolphinhouse), Shab Marsa Alam, and the Elphinstone Reef. Our divers have a choice of 30 different dive sites from land and boat. 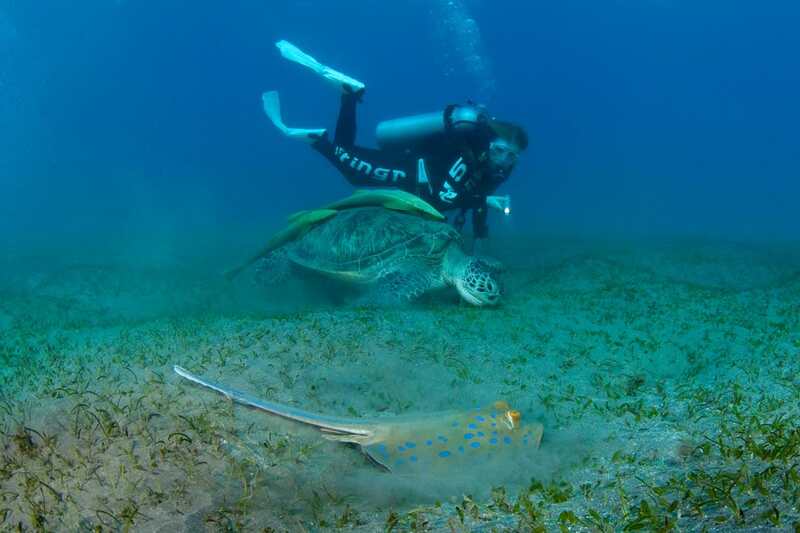 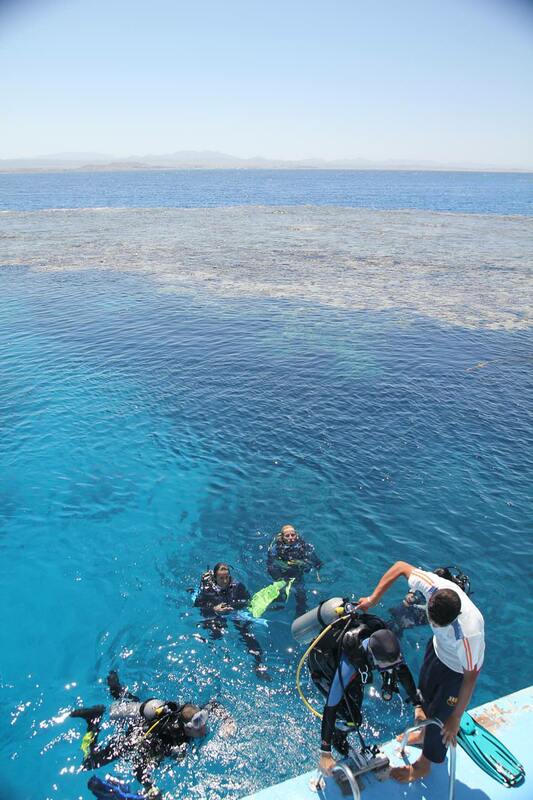 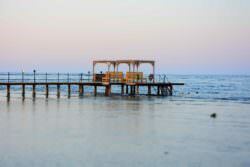 The area around Marsa Alam is rated as one of the best diving areas in the red sea. 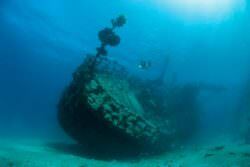 Fortunately it is not overrun by diveboats and divers. 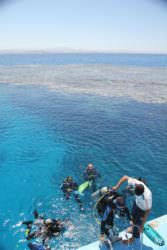 The reefs are very well preserved and make divers hearts beat faster because of its biodiversity and the abundance of fish. 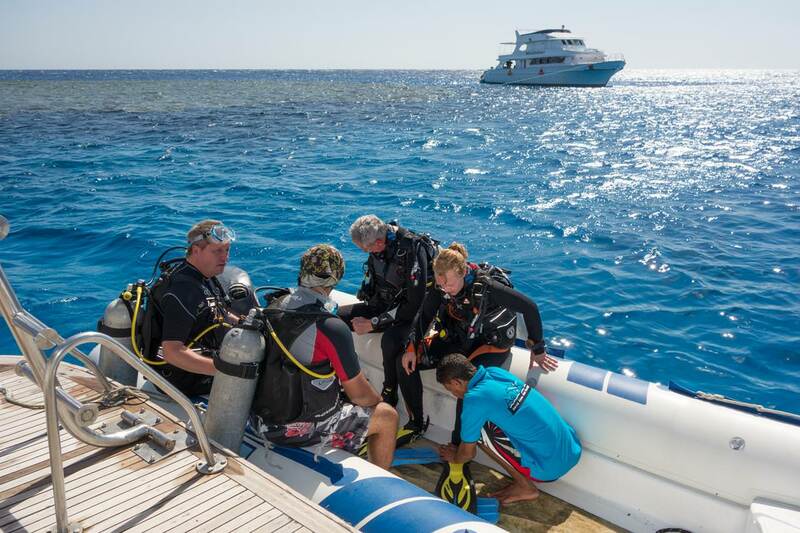 There is something here for everyone, either gently sloping dives from the beach, trips by car to more remote bays or boat/ zodiac excursions to legendary reefs such as Elphinstone, Abu Dabab and Samadai Reef (Dolphin House). 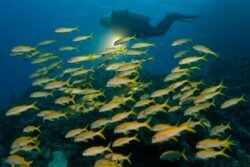 One of the world’s best divesites, Elphinstone Reef can be reached in 20 Minutes by Zodiac. 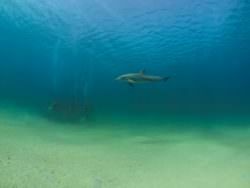 Longimanus (Oceanic), hammerheads and tiger sharks glide past the drop off. 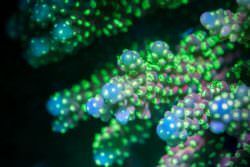 Millions of red jewel fairy basslets populate the overgrown hard and soft corals, gorgonians and sponges. 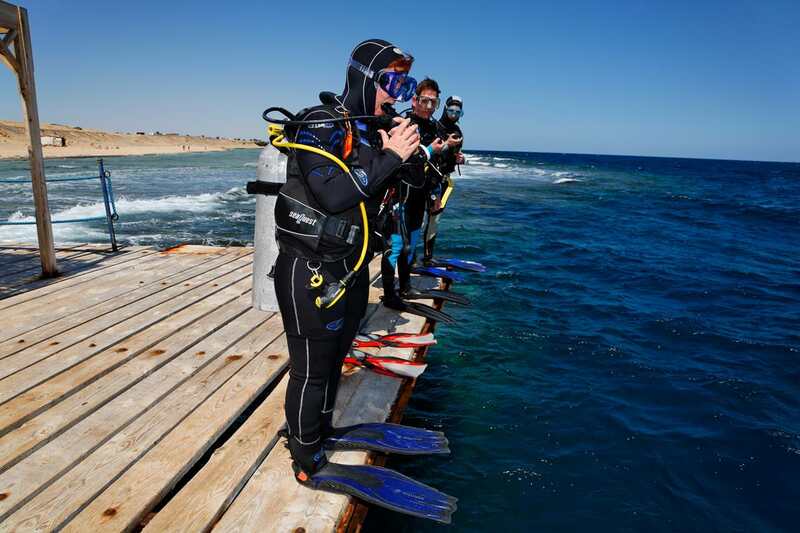 A must for any experienced diver. 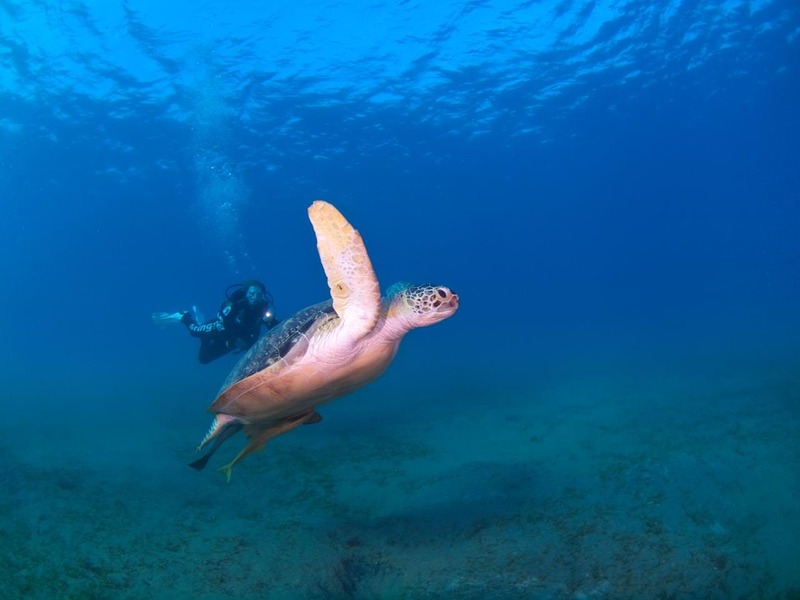 Our house reef, not only for experience divers, invites you to dive, not only in the eary morning or at night but the whole day.